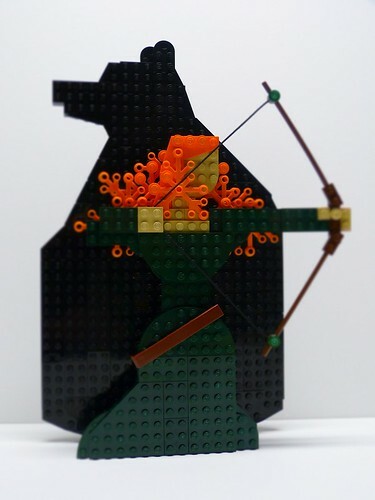 This is a pretty interesting MOC, part sculpture, part art, part character. I think a whole series of these of Disney princesses would be awesome. I look forward to seeing it in person at BrickCon next week on the Bricks of Character table.